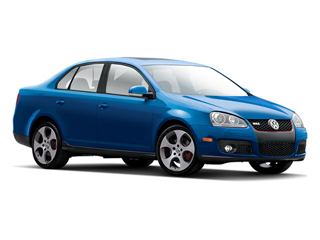 The 2009 Volkswagen Jetta comes well-equipped and value-priced for those who want a small but roomy sedan or wagon, while the GLI model is a sophisticated sport sedan that also has strong value-for-money appeal. 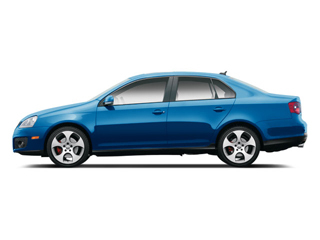 The Jetta and GLI line is also a safety standout, as one of only a few compact sedans and wagons at any price to offer available side-thorax air bags for rear-seat occupants. With the addition of the new SportWagen body style, the Jetta becomes an efficient alternative to sport-utility vehicles. The TDI diesel offers the efficiency of a hybrid with the torque people <p>expect from a small diesel. The Wolfsburg is a special edition that gets its power from a 2.0L turbocharged 4-cylinder engine making 200 horsepower and 207 ft-lb of torque. It features special badging, premium wheels, and leatherette seating, and can be equipped with either a 6-speed manual or the 6-speed automatic transmission. The new SportWagen boasts a surprising amount of cargo space. With the back seat up, there's 32.8 cubic feet of space, but with it folded forward the cargo area expands to nearly 67 cubic feet. An optional fold-flat front passenger seat provides additional cargo space. The GLI is a performance-oriented sports-sedan model that is powered by the same 2.0L turbocharged 4-cylinder found in the Wolfsburg. 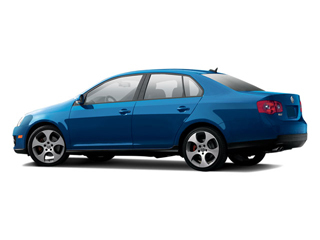 The GLI also includes a distinctive honeycomb grille, lower-body trim, red brake calipers, large round taillights, dual stainless exhaust tips, special sport seats, an F1-style, flat-bottom steering wheel, and aluminum interior trim. On both the Jetta sedans and SportWagens, front thorax-protecting side airbags are standard, along with full-length side-curtain bags. Side thorax bags for rear occupants are optional. All Jettas and GLIs also include anti-lock brakes with engine braking assist, and an electronic differential lock for improved traction. Volkswagen's electronic stabilization program (ESP) is now standard across the line. All Jettas come with air conditioning, cruise control, a CD sound system, eight-way adjustable front seats, power windows and heated mirrors, and tilt/telescopic steering standard. The SE adds a leather steering wheel and shifter, power sunroof, ten-speaker stereo with 6-disc CD changer, a 60/40 split folding rear seat and alloy wheels. The SEL adds 17-inch wheels, body-colored valences, and a special instrument cluster. 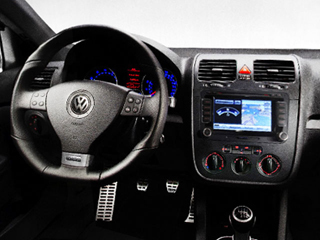 TDI models are outfitted as a mix between S, SE, and SEL trims.